Elevation Physical Therapy has a specialty in pediatrics. Our staff has extensive experience working with children from birth to adolescent and we have a passion for helping our younger patients. As function develops in children, there can be a variety of things that affect mobility from injury to growth spurts. We assist children in developing and enhancing mobility so they may safely participate in activities at home, in the community, classroom and on the playground. Important movement activities such as crawling and walking, running, playing games, participating in sports, and in other important physical interactions are emphasized in our approach. In addition, we also treat children who rely on mobility aids such as wheelchairs, orthotics and other supports so they are able to integrate well into normal everyday activities. 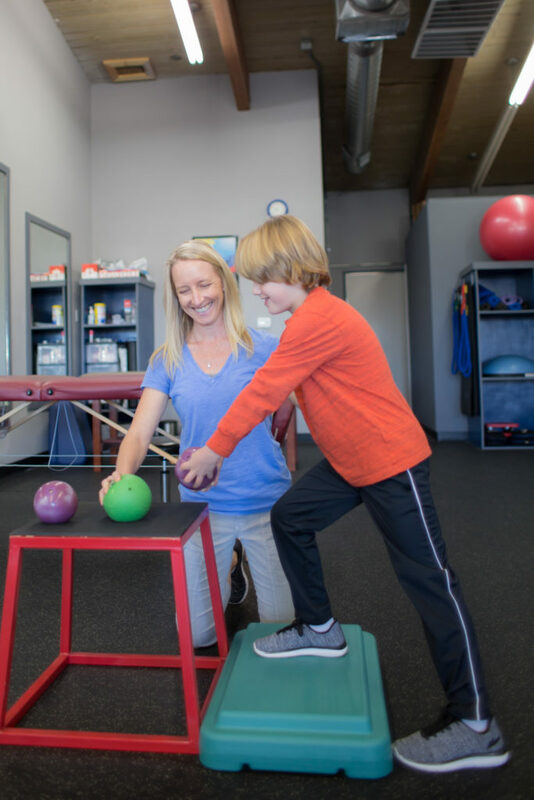 Elevation Physical Therapy often focuses on preventative strength building approaches including stretching, mobilization, strengthening and endurance training to enhance the child’s capabilities and prevent deformities and contractures. Our goal is to increase their physical performance and function.